Corfu – Tuesday, Thursday, Saturday. Mix of Ionian islands from the whole list. Preveza/Lefkada – Tuesday, Thursday, Saturday. Island mix from the whole list, optionally add a sail week through the smaller islands. Zakynthos – Monday, Tuesday, Wednesday, Friday. Experience island hopping on the favorite islands or mix your tour with sailing through smaller islands. 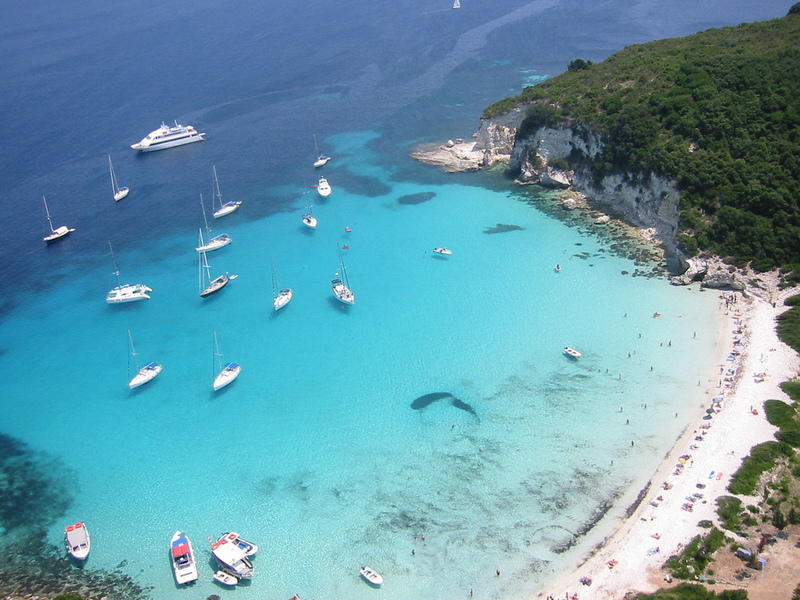 (“Open jaw flights” are possible, for example, outbound flight to Lefkada/Preveza with return flight from Zakynthos). Decide what is the best for you, and mix the desired hotels with sailing, days for relaxation or adventures and the duration of your stay. The Ionian Islands benefit of a temperate climate, seawaters as deep as refreshing, verdant mountains, a rich cultural heritage and a carefree spirit. 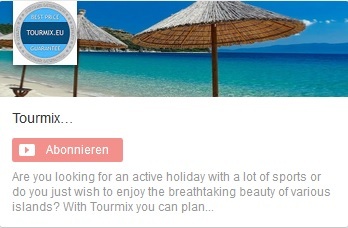 They offer ideal combination possibilities for your holidays during which you will be able to enjoy a flawless tourism infrastructure, excellent hotel accommodations, restaurants, diving centers, sea sports, cultural events, and a multitude of sights, historic monuments and museums worth visiting. 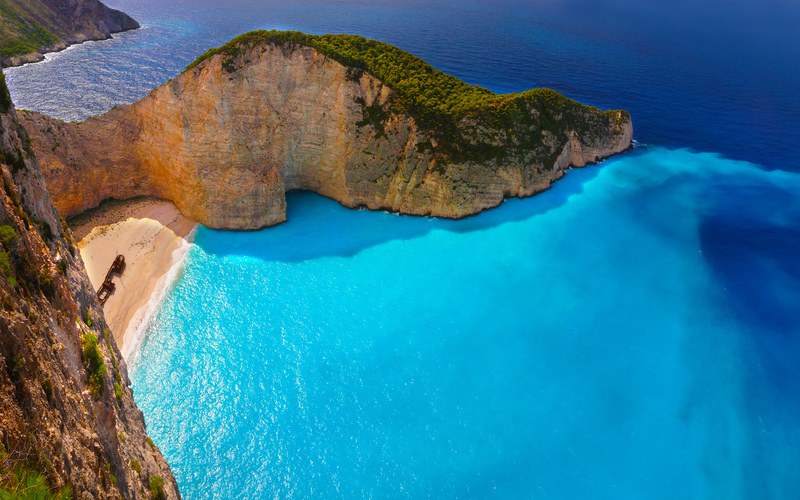 Once part of the Greek mainland, the Ionian Islands were torn away when part of the terrain sank due to the seismic activity along the Ionian Sea’s coastline. This led to the formation of the area’s rugged shores, the hauntingly beautiful beaches and imposing mountains that used to be part of the Pindos Mountain Range across the Greek mainland. It is also responsible for the sea depth in the area, reaching 4,406 m., registered as the deepest in the Mediterranean. Its mild, temperate climate make of the archipelgo the ideal choice for vacation or permanent stay. In the wintertime, the mainland’s mountains dim the strong northern winds blowing in the direction of the islands while the hot summer weather is tempered by the mild northwestern meltemia winds and the sea breeze. The air currents of the area have turned many of the Ionian Islands’ beaches into worldwide known destinations for windsurfing. 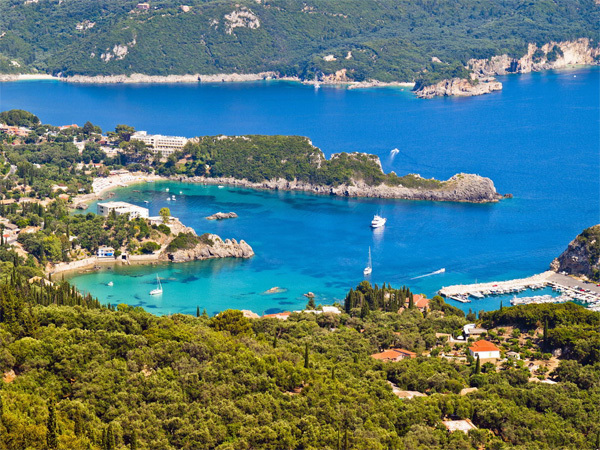 Cosmopolitan Kerkyra is probably the best known Ionian island and one of the Mediterranean’s most popular destinations. 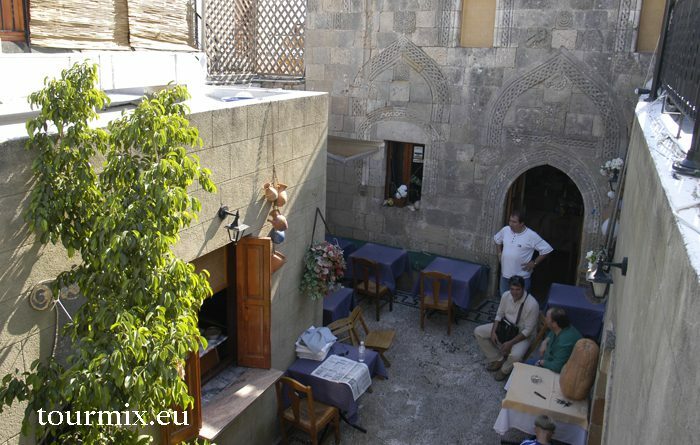 It attracts hundreds of thousands of tourists annually and is an inexhaustible source of artistic inspiration. 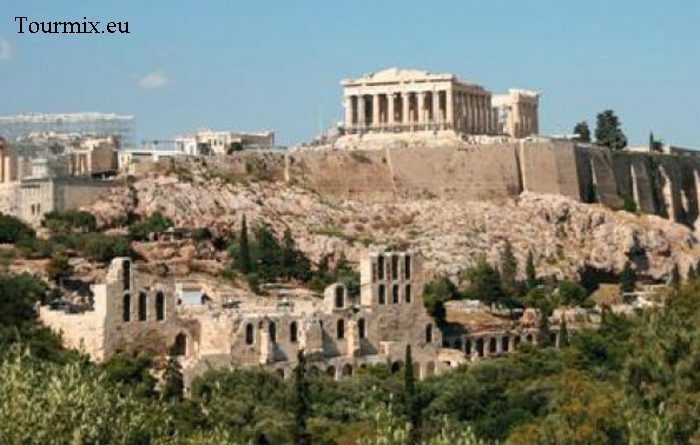 Its enormous cultural heritage, combined with its natural beauty, ideal climate, inviting beaches, and noteworthy sights make it a prestigious and attractive destination for Greek and foreign visitors alike. Mythology has it that when Poseidon fell in love with Korkyra, Aesopos’ daughter, he retreated with her to this island and named it after her. Kerkyra is known abroad as Corfu because of the island’s two acropolises [perched on two hilltops (corfés in Greek)] within the city of Kerkyra. 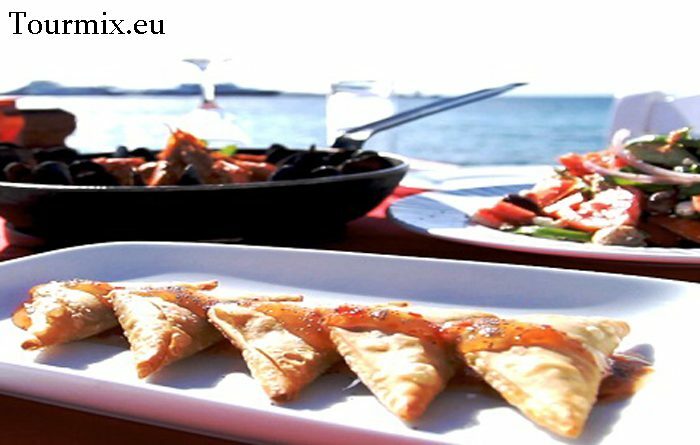 Cultural village of Europe for the year 2004, Paxi has all that you need for a quiet, memorable vacation: fjord-shaped beaches, small underwater coves, green hills with olive trees, imposing cliffs, sea caves and particularly interesting hewn stone cisterns dotting the island. Its small size invites the visitor to explore it from end to end on foot. Tradition has it that Paxi used to be part of Corfu Island until Poseidon tore it apart with his trident so that he may have a secluded spot to enjoy the company of his beloved Amfitriti. 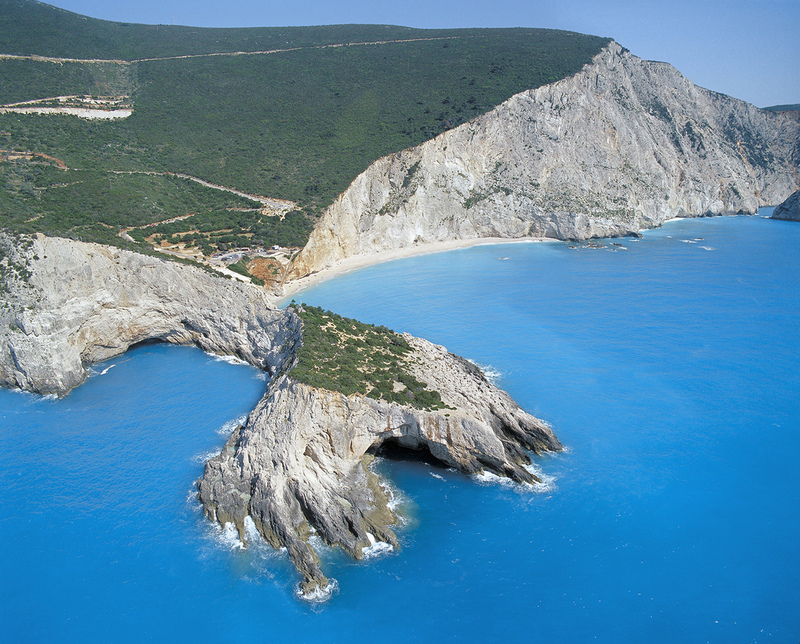 Lefkada or Leucas Island is surrounded by a total of 24 islets – Aristotle Onassis’ Skorpios being one of them. It connects to the opposite coast of Central Greece via a floating swing bridge. On Lefkada you will find noteworthy sights, churches and monasteries, picturesque villages, lush vegetation, idyllic coves of turquoise waters, busy and secluded beaches of stunning beauty, a significant cultural heritage and hospitable locals. 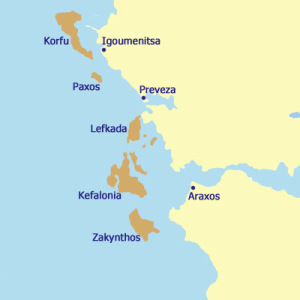 Up until the 6th c. BC, Lefkada was part of the Akarnania coastline. 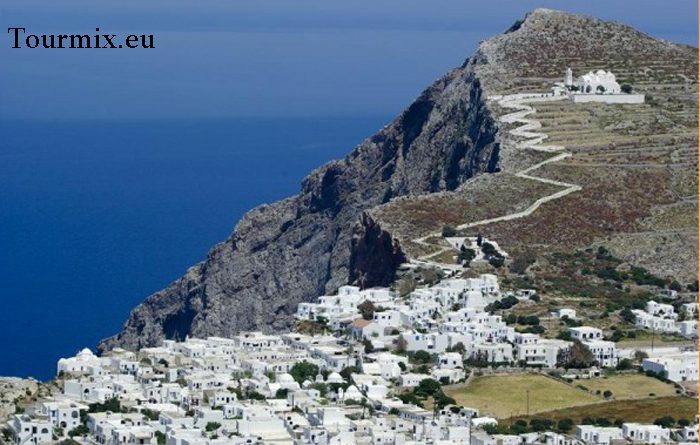 It owes its name to Lefkata, the cape with the towering rugged white cliffs on the island’s southern tip. Magnificent scenery, amazing beaches, a rich cultural heritage, great monuments, mountains, castles, distant monasteries and the cheerful, hospitable people are the treasures that have turned Kefalonia Island (or Cephallonia) into one of the most attractive destinations. It is the biggest island of the Ionian Sea, at the outlet of Patraikos Bay, between Zakynthos and Lefkada, endowed with a splendid natural beauty and diverse geological formations, countless coves and lush vegetation. The mountain Aenos (National Park since 1962) looks very impressive from far away. Worldwide famous as the home of Odysseus, Ithaca symbolises the return to the haven, the discovery and the fulfillment. Despite its proximity to Kefalonia it is much more peaceful, quiet and undiscovered from it, thus being an ideal place for alternative activities and a holiday living up to the standards of the most demanding ones amongst us. The Venetians, who ruled Zakynthos from 1484 until 1797, called the island “Fioro di Levante” (flower of the East) as there are over 7,000 species of flowers on Zakynthos. 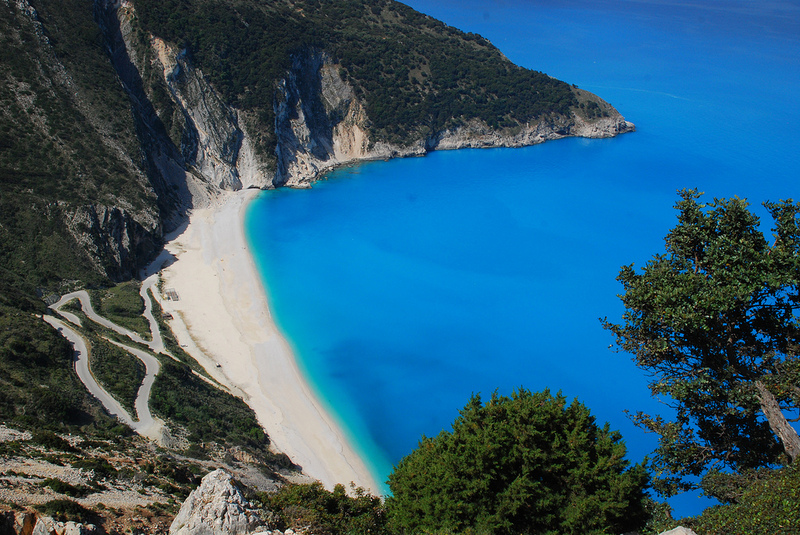 The third largest island of the Ionian Sea, after Corfu and Kefalonia, is internationally known by the name of Zante. 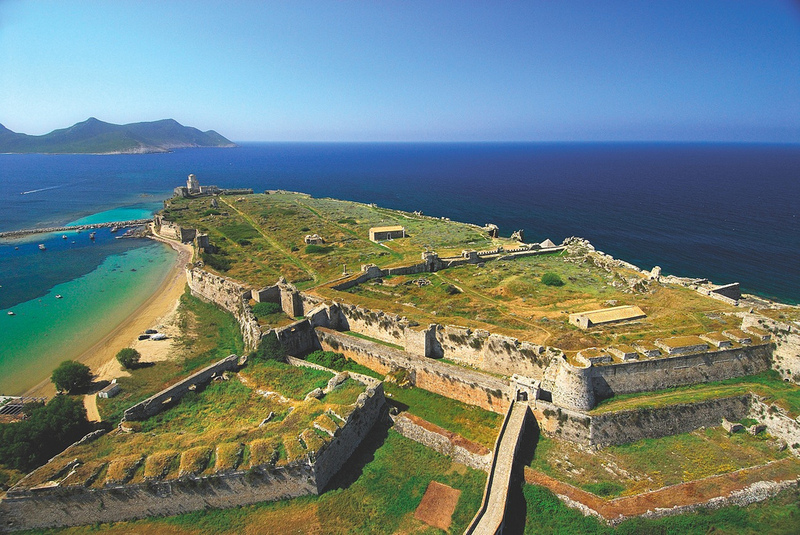 Escape to the Peloponnese, where Myth meets history. Monuments from every period of the eventful history, great archeological sites, such as ancient Olympia, Epidaurus, Mycenae and Tiryns, the Temple of Apollo Epicurius, Byzantine churches, unique villages and alluring castles amidst stunning natural beauty, mountains and forest, rivers and caves, make this part of Greek land ideal for holidays, touring, sports and culture. 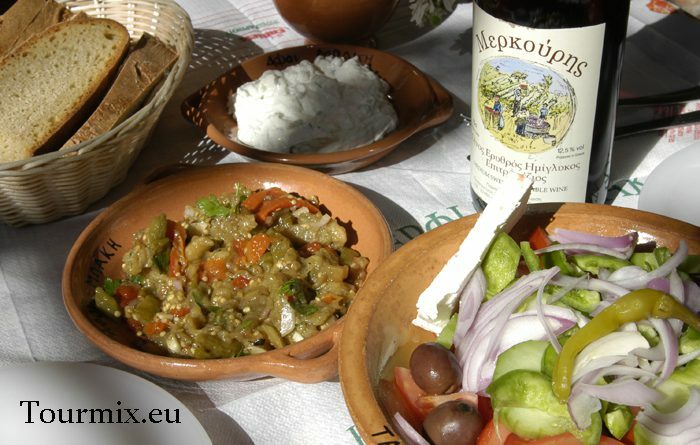 Not to mention that the Peloponnese is surrounded by the Greek sea, with lovely beaches, sandy and smooth coasts on the west – rocky and lacy on the east.